Using Alejandro Olarte’s words, ‘we are coming back to the reality after have been traveling and flying during the HMP’. It is indeed been an intense and highly rewarding experience for the group of artist involved in this version of the HMP. A lot of information and inspiration has come to me and I intend to use these pages to report and reflect on that as soon as possible. In the meantime my outmost gratitude goes to Elena, Riikka, Marisa, Pia, Alejandro, Marko and Barnaby for the amazing dedication and creative energy they put in the event, to Saara for helping me organizing it and most of all to the audience who showed us support and appreciation. We met each other, we met the space and tonight we get to meet you, the audience and we are really looking forward to that. Just as a reminder, the shows are happening both nights at 19.00 in Tanssiteatteri Hurjaruuth and with a 10€ ticket you get to watch both nights. 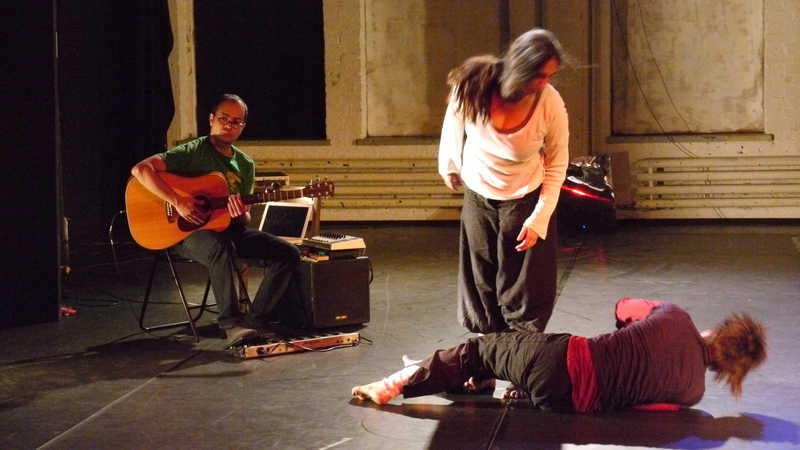 Also on Saturday afternoon at 17.00, in the Hurjaruuth foyer, there will be a public talk, a Conversation on Improvisation with artists from both the music and dance scene. The final interview of this series is with Amsterdam based dancer Marisa Grande. She definitely has some insight to share and some very interesting views on improvisation or instant composition as she rather calls it. 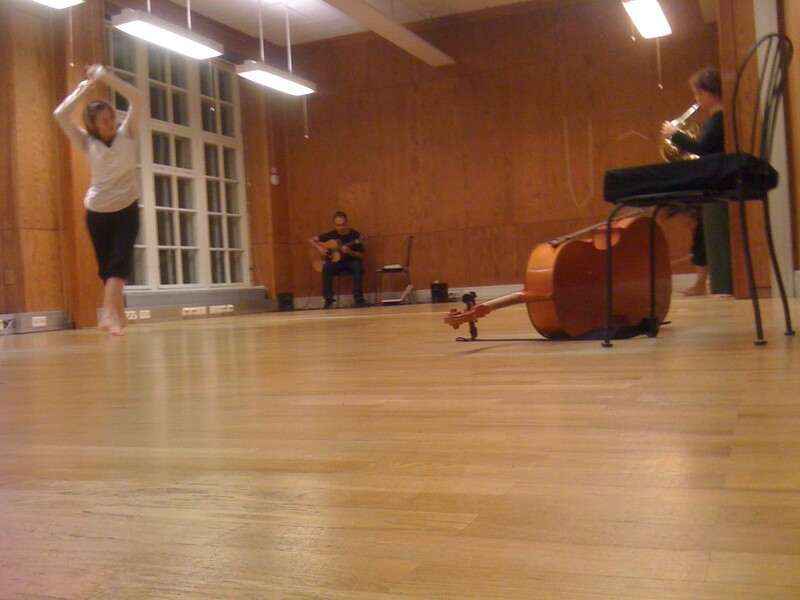 Marisa Grande is an independent artist; dancer, choreographer and teacher based in Amsterdam. 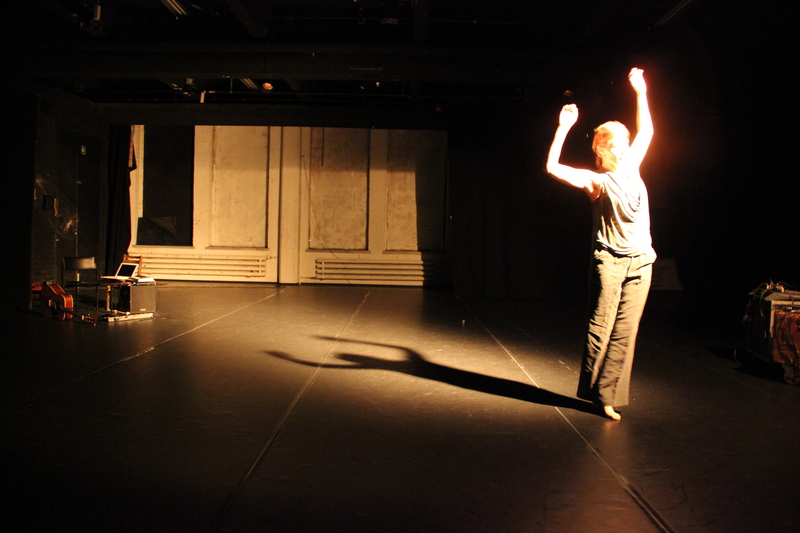 Both her artistic and pedagogical work focus on Improvisation as an independent art form. 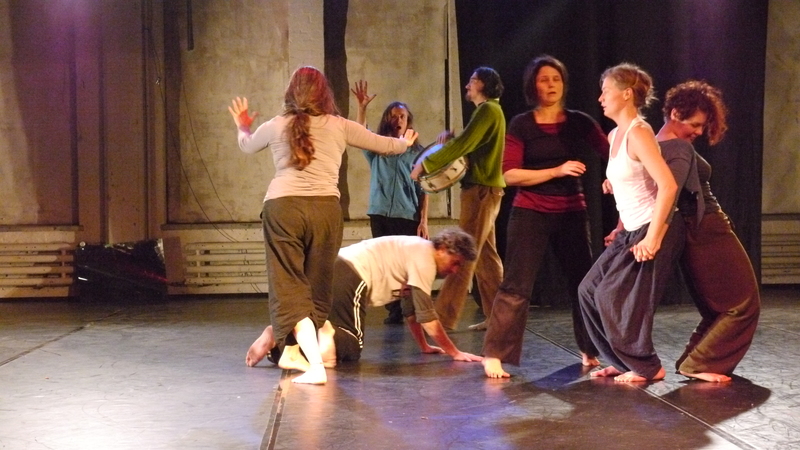 In 1988, she graduated at the Theatre school of Milan and subsequently extended her knowledge in the field of physical theatre through the Jerzy Grotowsky’s work method. 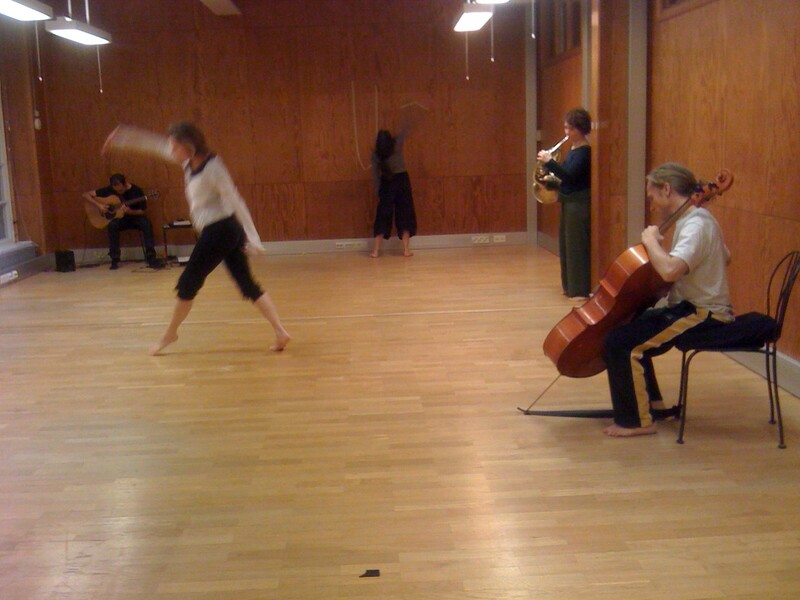 In 1997, she graduated at the Theatre school Amsterdam, School for New Dance Development department, where she studied Body-Mind Centering, Release and Hawkins Technique, Contact Improvisation and Instant Composition. In 2010 she concluded the 3 years Centered Yoga Certification Program with Dona Holleman. The study and practice of yoga in all its aspects is enriching her dance and improvisation practice. This afternoon the group has met in the Liisa Pentti +Co studio for the first practice session on the way to the HMP Extended Edition. I was truly amazed by the amount of talent gathered in the room and immediately I could see how experienced this group is. I have a strong believe that we can push quickly towards a quite high level of sofistication in terms of awareness and composition. I am looking forward to two more of this sessions before we actually meet the audience on Friday night. Two days to go before the first performance at the HMP Extended Edition and the series of interviews is almost complete. By now you should have a sense of what an amazing group of people is gathering for this event. Marko Timlin is a sound artist, composer, musician and inventor of virtual and analogue instruments. During the last years he has developed his main musical and artistic objective: the intuitive improvisation and interaction with new electronic media to create his own unconventional sound adventures and contemporary electronica that is challenging the ears and the mind. His music demonstrates a perfect balance between order and chaos. Timlin freely breaks the boundaries of composition and improvisation in his non-contradicting mix of organized parts and completely messed up blasts of sound. While playing live in concert the creation of his music happens in real-time and, therefore, is as surprising for the audience as it is for the performing artist himself. He allows the audience to witness a dialog between man and machine. This guy alone is worth the price of the ticket. Sixth interview of the HMP Extended Edition series is with cellist, vocalist, dancer, performing artist Barnaby Tree. Barnaby is a musican (cello, piano) and singer trained in the physical displines of improvised performance practises, dance, yoga and chi kung. 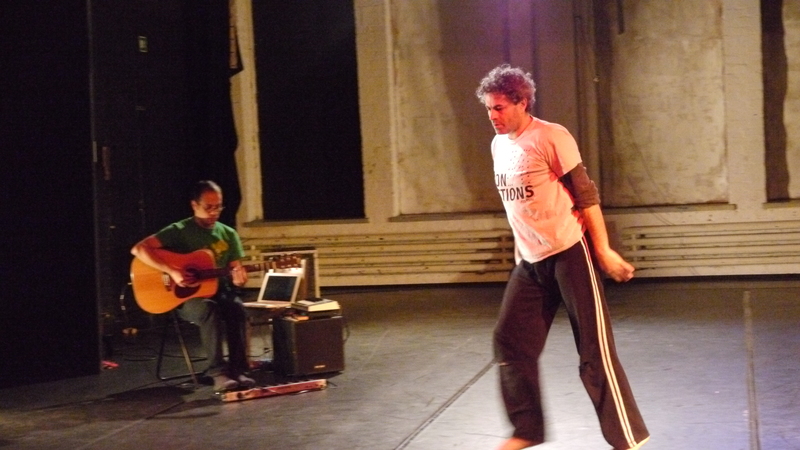 He has developed solo and collaborative work in experimental performance, dance and music. He has produced 4 albums, Ravine(’94), Loose(’99),Like nothing ever before(07)amd Easily(09), and regularly performs songs for cello and voice. He is based between Berlin, Scotland and Barcelona. He is the one who had the idea for these interviews in the first place, and now it’s his turn to be ‘against the wall’. This video has been shot and edited by Ulla Mäkinen, whom we thank very much for the precious help. 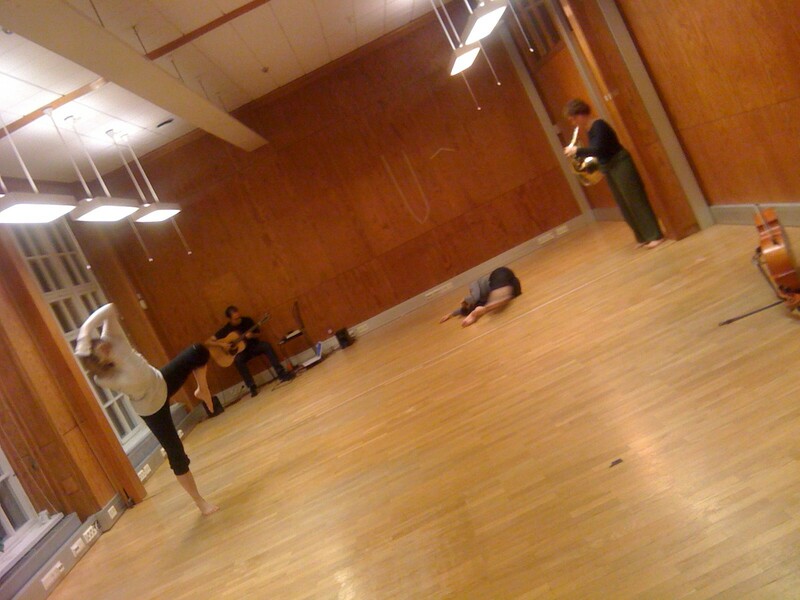 Giorgio Convertito, is an italian born dancer and dance maker, based in Helsinki, Finland. 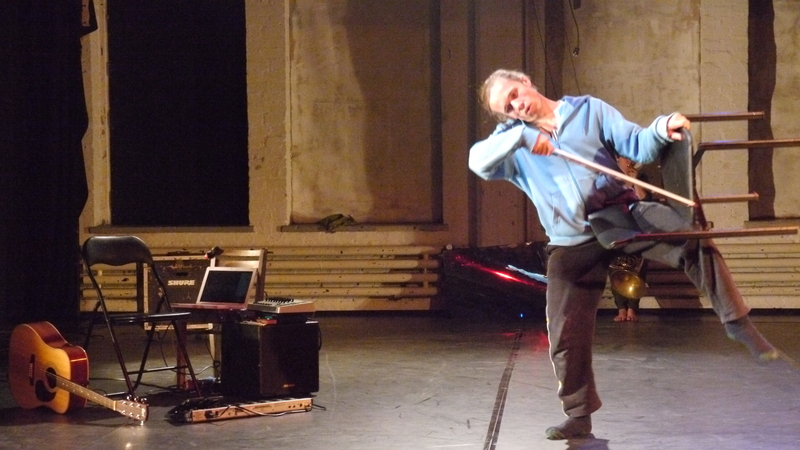 Improvisation/Instant Composition has been the main interest and influence in his work both as a dancer and a choreographer and it has been part of many of the projects he’s been involved, making him one of the leading figure in the Helsinki improvisation scene. Since January 2006 he’s the organizer and curator of The Helsinki Meeting Point, a dance and music improvisation event held monthly at Kokoteatteri in Helsinki.